Launched late 2017, WildCasino.ag is an online casino site licensed in Panama that’s able to cater to players from a long list of countries, including the United States, United Kingdom, Canada, New Zealand and many European and African countries. From the same people behind BetOnline.ag, Wild Casino is off to a good start bouncing off the BetOnline reputation and looks like it’ll be a go-to blackjack site for many once it finds its feet. 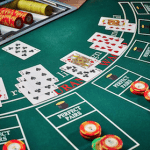 The blackjack selection isn’t huge, offering about seven variants of 21 plus two live dealer titles, but is more than adequate for players looking for a secure site to place real money bets from a range of devices. Read on to find out what Wild Casino has to offer in terms of real money blackjack games, deposit options, bonus offers and more. Note: Wild Casino accepts players from most countries excluding Macedonia, Malta, Montenegro, Serbia, Ukraine, Egypt, Ghana, Morocco, Nigeria, Pakistan, Indonesia and Panama. $3000 Slots Sign-Up Bonus – Get a 100% match up to $1000 over your first three real money deposits, with bonus money to use on selected slot games. Enter promo codes WILD1, WILD2 and WILD3 when making your first three real money deposits to claim. These bonuses are subject to a 30X wagering requirement. $1000 Video Poker Sign-Up Bonus – Get a 100% match up to $1000 to use on selected video poker games. Enter promo code VIDEO100 when making a real money deposits to claim. This bonus is subject to a 60X wagering requirement. $1000 Table Game Sign-Up Bonus – Get a 100% match up to $1000 to use on selected table games, including blackjack, although live dealer games do not apply. Enter promo code TABLE100 when making a real money deposits to claim. This bonus is subject to a very high 80X wagering requirement. These promo codes are subject to change at any time, so be sure to head to WildCasino.ag and go to the ‘Promotions’ page to see what bonus offers are currently available. On top of the sign-up bonuses, Wild Casino has a bunch of other promo offers, some that are ongoing, some that are one-off exclusives, so be sure to opt-in to receive promotional material when you sign up for an account to stay in the loop. Wild Casino caters to all user preferences, offering games for instant-play with no downloads requires, along with an optional downloadable software platform compatible with Mac and Windows PCs. We personally favour the instant-play format, which allows you to play games directly over your Web browser (compatible with Safari, Chrome, Explorer, Firefox and most major browsers), but for those will still favour the downloadable format, you’ll be happy to know Wild Casino has you covered. What blackjack games are available at WildCasino.ag? For the live dealer fans, there’s also two live dealer blackjack tables available – Live Blackjack and Live Blackjack Classic –hosted by professionally trained, attractive casino croupiers for a more engaging, interactive online blackjack experience. In addition to the blackjack selection, Wild Casino offers a nice selection of other casino games for players who want to change things up between hands of 21. There are more online slots than any other games, but you’ll also find a range of roulette and video poker variants, plus other table games like baccarat, craps, rummy and even a virtual racebook. Other than live dealer titles, all games at Wild Casino can be trialled for free, so you can give new blackjack variants and other casino games a go to see if they’re up your alley before having to commit to a real money wager. 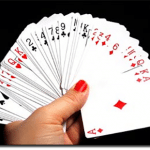 This flexible format is commonplace at online casinos, and is one of the many benefits online casinos have over land based establishments. Withdrawals at Wild Casino can only be made using Bank Wire Transfer, Cheque, Bitcoin, Litecoin or Ethereum. The lack of withdrawal methods may be a deterrent for some, especially those who aren’t yet in the cryptocurrency game, but the selection is decent enough. The real bummer is that Wild Casino only gives players one free withdrawal each month – any additional withdrawals are subject to a frustrating $50 fee, which is a something other top-rated blackjack sites don’t imply. The free withdrawal discount isn’t automatically applied either, you will need to request the discount when you put in your withdrawal request. We’ve got mixed feelings about WildCasino.ag. On one hand, we love that this casino accepts players from a long list of countries, including United States, and the sign-up bonus is one of the biggest we’ve ever come across. Also, the site uses a simple user-friendly layout with an entertaining range of blackjack variants, but the downside is we encountered lots of loading issues and errors when testing the site. That $50 withdraw fee is also a huge disappointment, and is sure to deter many players from betting here. Wild Casino is still in its early stages, so we hope some of these issues will improve as the casino establishes itself. In the meantime, it’s definitely worth giving this blackjack site a try, especially for players from the USA where licensed, secure online blackjack sites are difficult to come by.